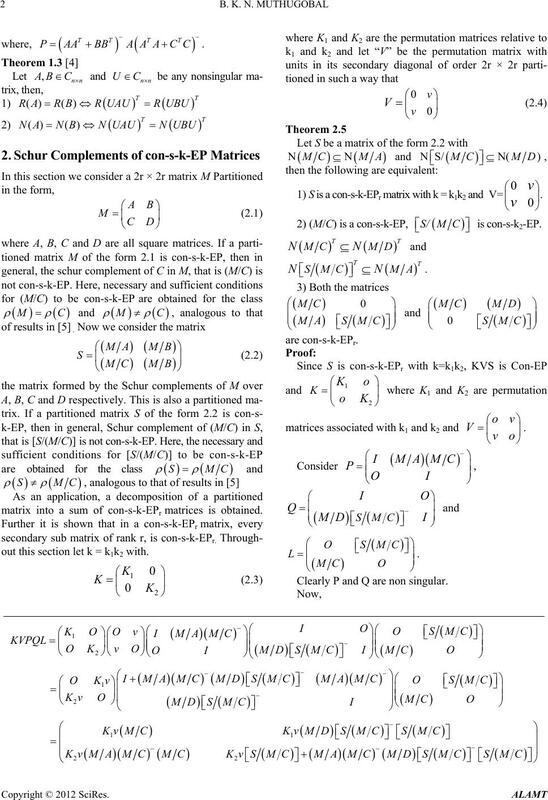 Necessary and sufficient conditions for a schur complement of a con-s-k-EP matrix to be con-s-k-EP are determined. 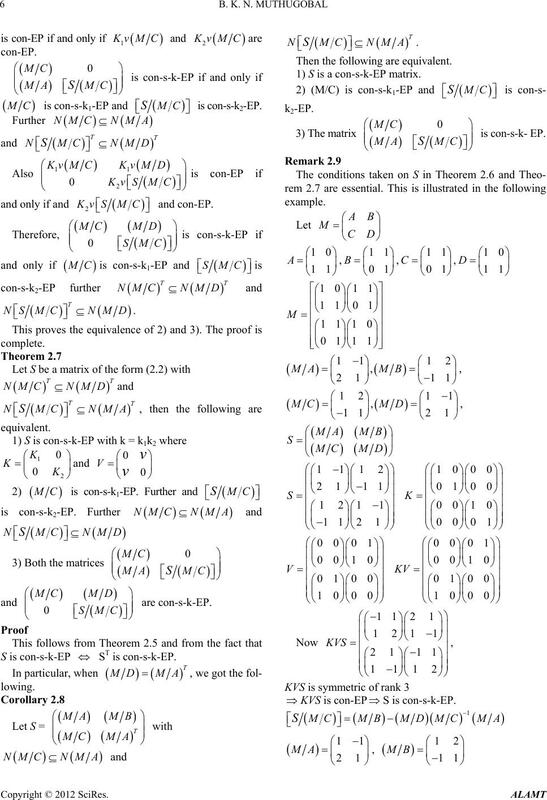 tions for produ c t s of con -s- k-EPr partitioned matrices to be con-s-k-EPr are given. 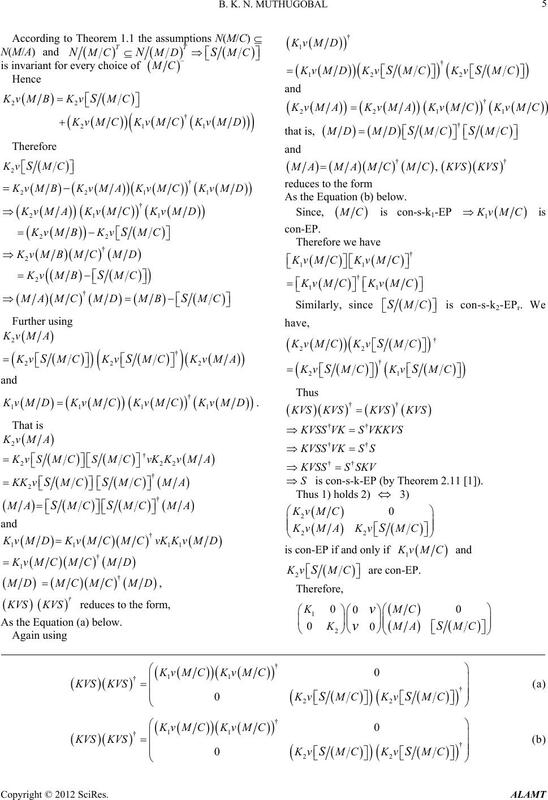 Let be the space of n × n complex matrices of order n.
for i, j = 1, 2, · · · , n.
con-s-k-EP matrices one may ref er . given. 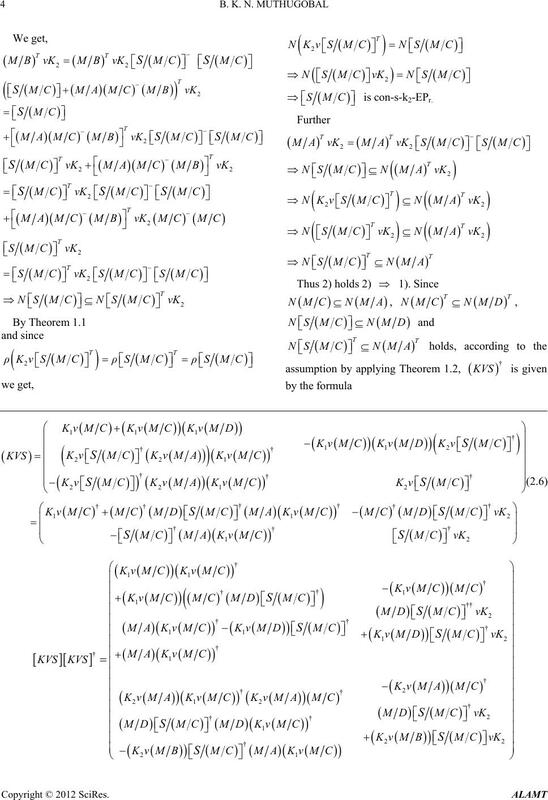 In this sequel, we need the following theorems. 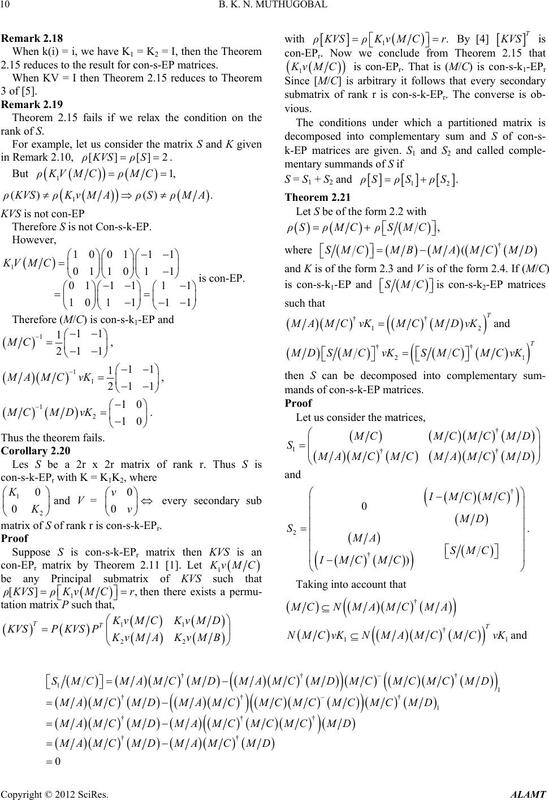 matrix into a sum of con-s-k-EPr matrices is obtained. out this section let k = k1k2 with. 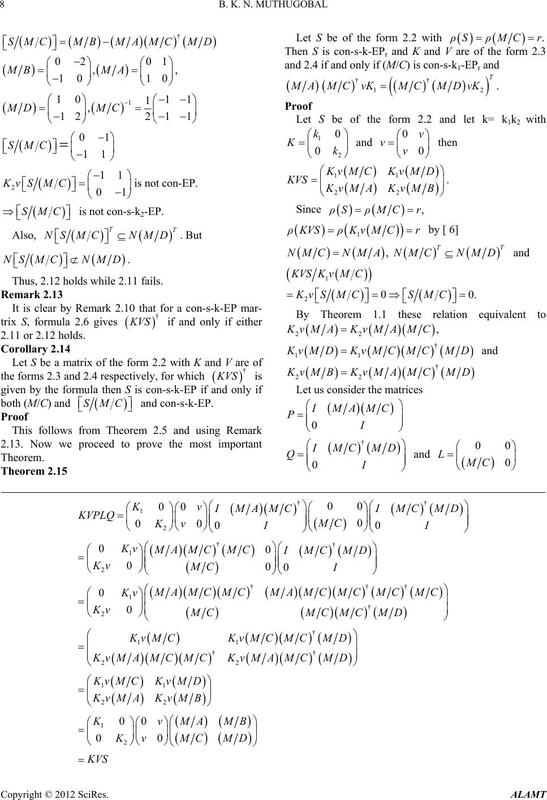 matrices associated with k1 and k2 and . Clearly P and Q are non singular. Thus KVS is factorized as KVS = KVPQL. 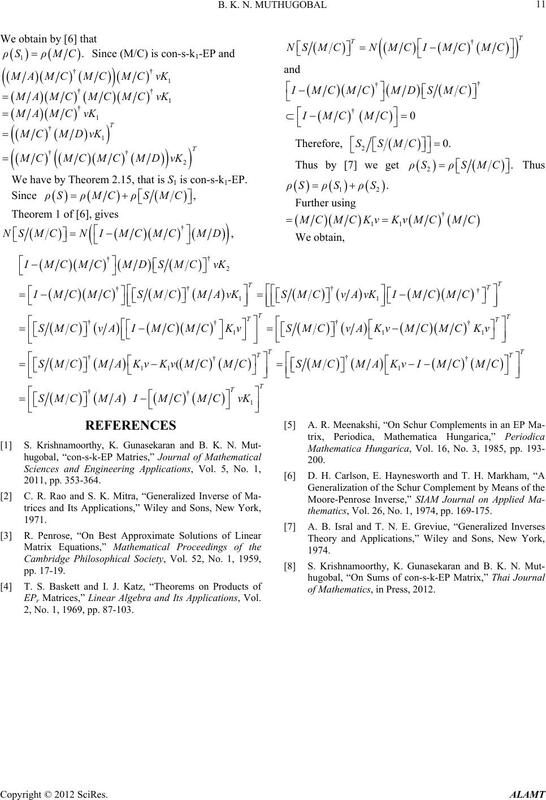 As the equation (at the bottom of this page). As the Equation (a) below. As the Equation (b) below. 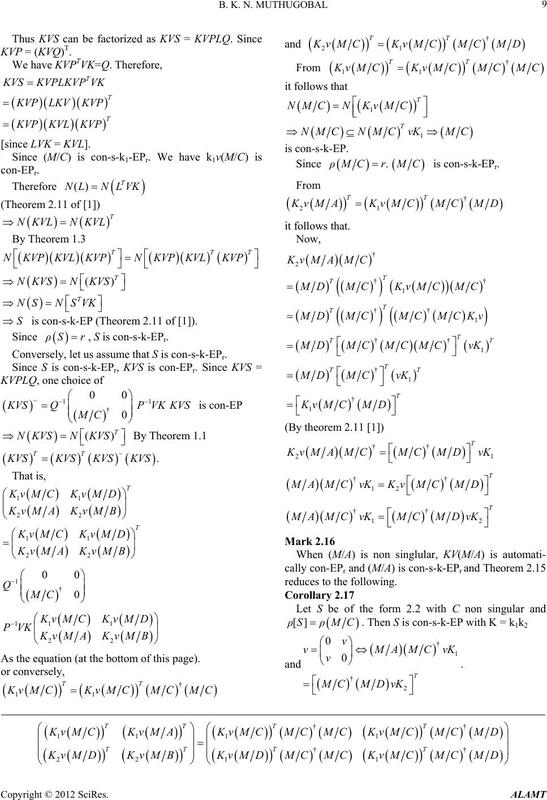 S is con-s-k-EP (by Theorem 2.11 ). Then the following are eqlent. 1) S is a con-s-k-EP matrix. KVS is symmetric of rank 3 s-k-EP. Therefore S is not con-s-k-EP. Thus, 2.12 ho lds while 2.1 fails. assume that S is con-s-k-EPr. 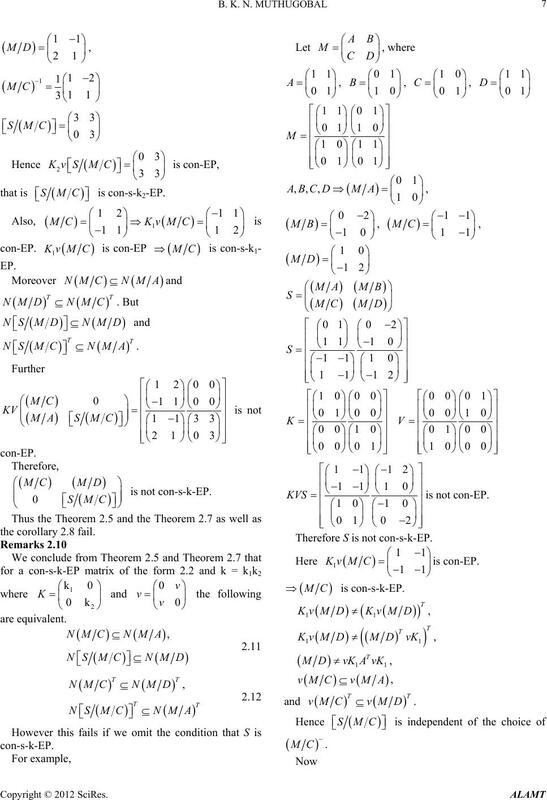 S is con-s-k-EP (Theorem 2.11 of ). 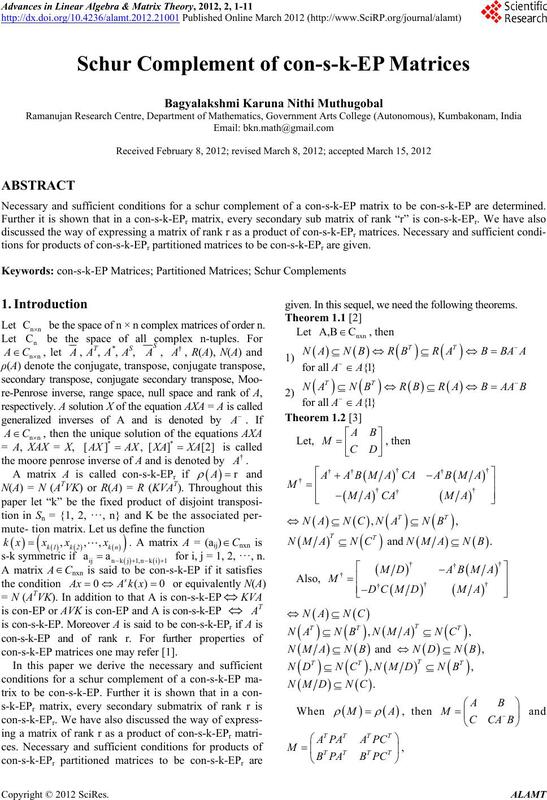 2.15 reduces to the result for con-s-EP matrices. matrix of S of rank r is con-s-k-EPr. at is S is con-s-k1-EP. 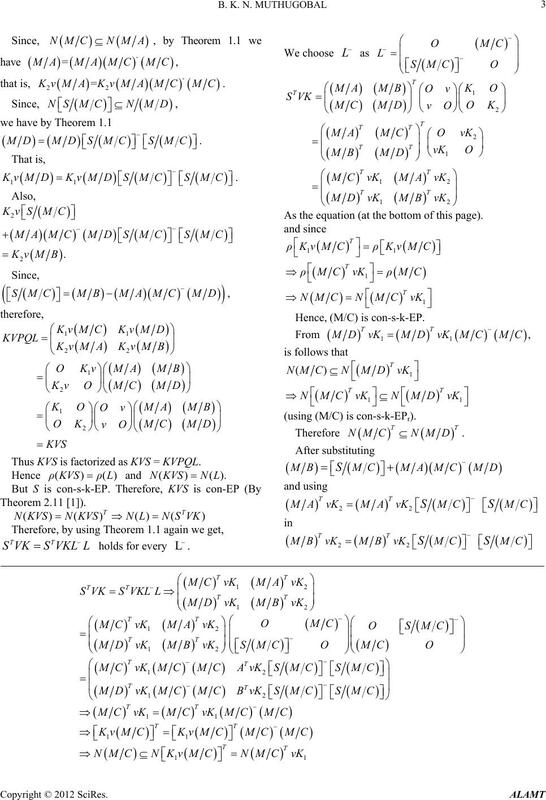 EPr Matrices,” Linear Algebra and Its Applicationsol. 2, No. 1, 1969, pp. 87-103.